Hue is the main criterion to consider when buying a ruby. The more intense and vibrant the red colour is…the rarer and more expensive it will be. There are three colour grades for rubies: “very red”, “medium red” and “pinkish red”. 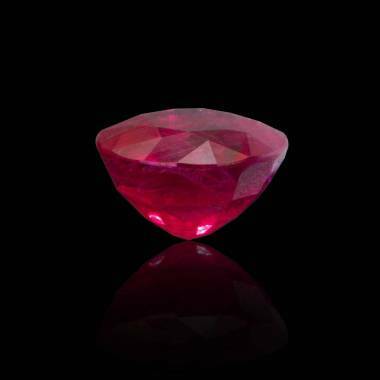 Jaubalet offers heat-treated rubies. The heat enhances the natural colour of the gem. Since this occurs naturally, it does not alter the gem and is a tradition used by many expert jewellers. However, if you would like a non heat-treated ruby, please contact us.